Prior to the Clone Wars, Plo Koon helped local constable Janu Godalhi capture pirates. It was home to a Hutt fortress on a tall pillar of rock that was the site of a large battle between Republic and Confederacy forces during the Clone Wars. 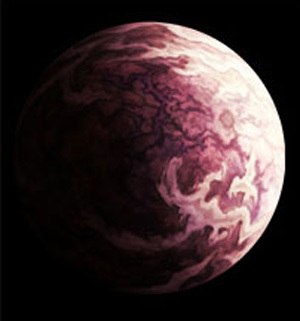 It was the capital of Moff Sarn Shild, who used the planet as the marshaling point for his fleet before he launched his attack on Nar Shaddaa five years before the Battle of Yavin. It was also the location of an early Rebel cell. It was apparently a significant one too, as the Corellian Rebels were willing to risk sending valued commander Bria Tharen across the galaxy (a dangerous endeavor, especially during the early days of the Galactic Civil War) to make contact with them. The Tethan Rebels declined to join an outright alliance, but were willing to step-up attacks on Imperial targets like supply dumps and ships coming to and from the Corporate Sector and help funnel the proceeds to their coreworld brethren.